One of the most talented players in the history of Ukrainian football. Zavarov started his career as forward in his home city of Zorya Lugansk. 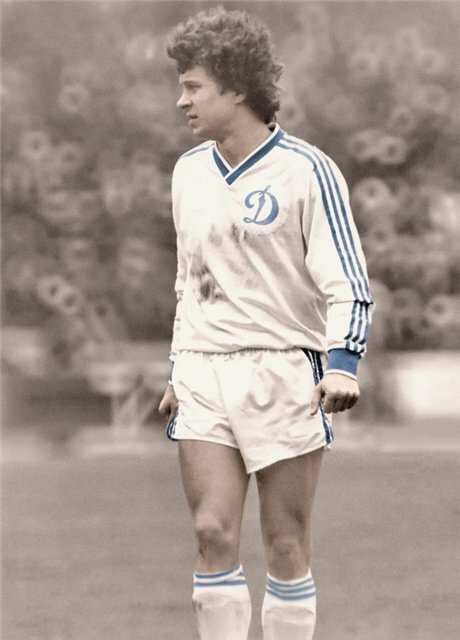 April 27, 1979 Zavarov debut for the club in the top league of the USSR Championship at "Dinamo Tbilisi" stadium in the game with the "Dinamo" Tbilisi - he came on the field in the second half and by the end of the match was called the best player. He was 18 years old. Zavarov possessed unusual football plastics, original mechanics of movement. His knees are turned inward. Hence, the non-standard technique. Many feints that others were given a huge difficulty, if not given at all, Aleksandr performed amazingly easily and naturally. In 1983 he moved to "Dynamo" Kyiv. In 1984 Zavarov considering switching in "Spartak" Moscow: talking with Konstantin Ivanovich Beskov by phone. However, Valeriy Lobanovskiy has overpersuaded a young footballer. In Dynamo, he acted in the position of the player binder between the middle line and the line of attack: ran off back, got the ball, all the time was in the game - not waiting for a pass, but passing partners. While returning, he tries to take a position that would allow him immediately strike up a new attack, which moves in his tricky head already calculated. A great dribbling, which he did not abuse, reasonably teetering on the brink of expediency, allowed to vary the attack of the team. By going to "Juventus" played mostly on the left side of midfield. Last edited by DimonSpa on Sat Oct 04, 2014 8:16 pm, edited 1 time in total.